Ceramic Coating; What it is & What It Does. You strive to keep your vehicle looking like new, you wash it on a regular basis, you wax it, and probably get it detailed. But, despite all your efforts, you still see swirl marks, small chips, water spots, and dirt and grime that come back quickly. Introducing the solution; Ceramic Coating! Ceramic coating is a liquid polymer applied by hand to the exterior of a vehicle. 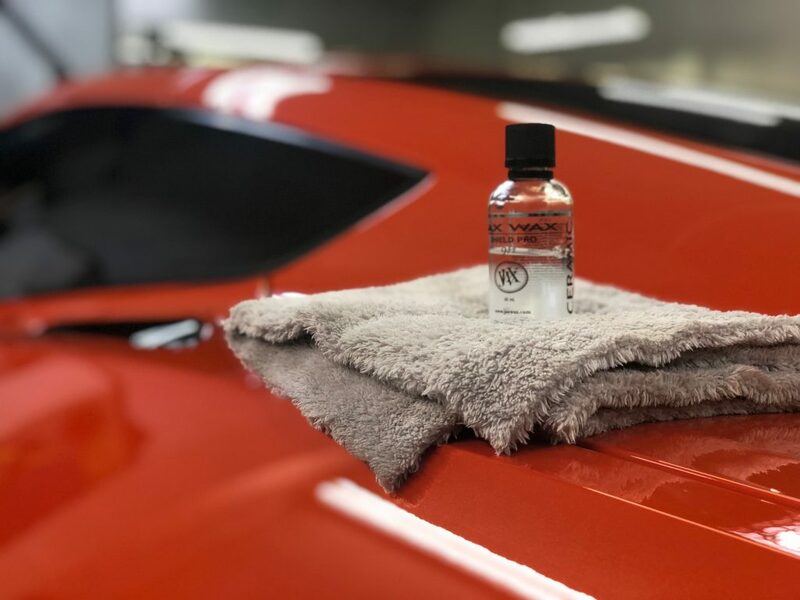 This liquid creates a semi-permanent bond with your vehicle’s paint to create a layer of protection that doesn’t wash away or break down and can last up to 4 years. This additional layer of protection keeps your car looking like new with minimal maintenance and adds substantial value to your vehicle. Protection from UV Damage – Ceramic coating will protect against harmful UV rays and gradual paint fading that comes with exposure to the sun. Paint Protection – It protects against small scratches and dings from road debris. It can withstand a great deal of damage without showing ill-effects on the body of the car. 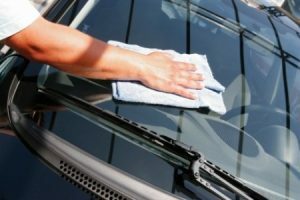 Protects Against Chemicals – Some chemicals, like those found in bird droppings, gasoline, brake fluid, and shaving cream can be damaging to a car’s paint. This coating serves as a barrier between them and your paint job. Easy to Clean – It’s hydrophobic, meaning it repels water. Water will bead on the vehicle’s surface and slide off easily. Dirt and grime will have a hard time sticking to your vehicle and can be removed with significantly less effort. Shine & Gloss – Ceramic Coating enhances the reflective properties of your car’s paint and clear coat; resulting in a POP of high gloss finish. We properly wash your vehicle to remove any and all dirt and grime and use a clay bar if necessary. Then comes the the paint correction step; we polish or buff out any swirls, imperfections, and scratches in the paint. 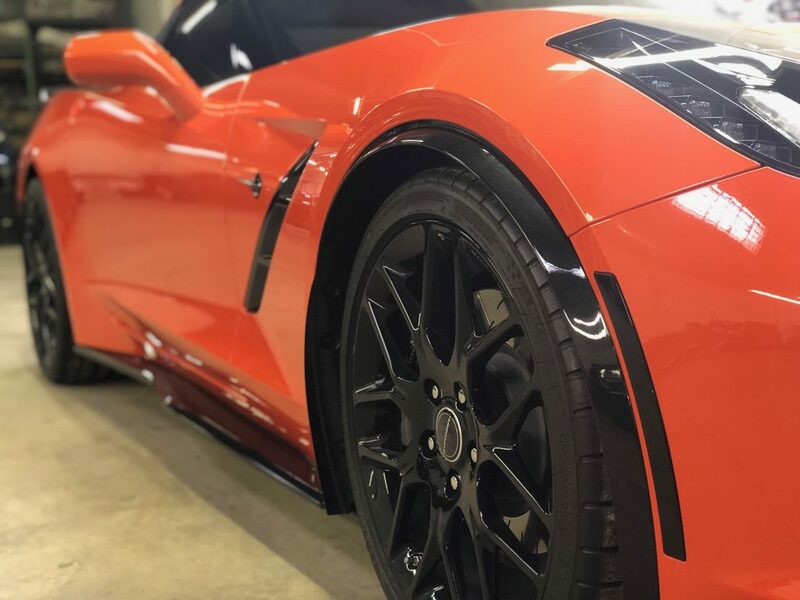 Your vehicle is then inspected to ensure all blemishes have been corrected and the surface is in its best condition before we apply the ceramic coating. We then use a Shield Prep solution, applying to the paint and then wiping off one panel at a time with a microfiber towel. This cleans any wax residue or polishing oils left behind, leaving a cleaned and prepped surface for the Ceramic Coating to cling to. 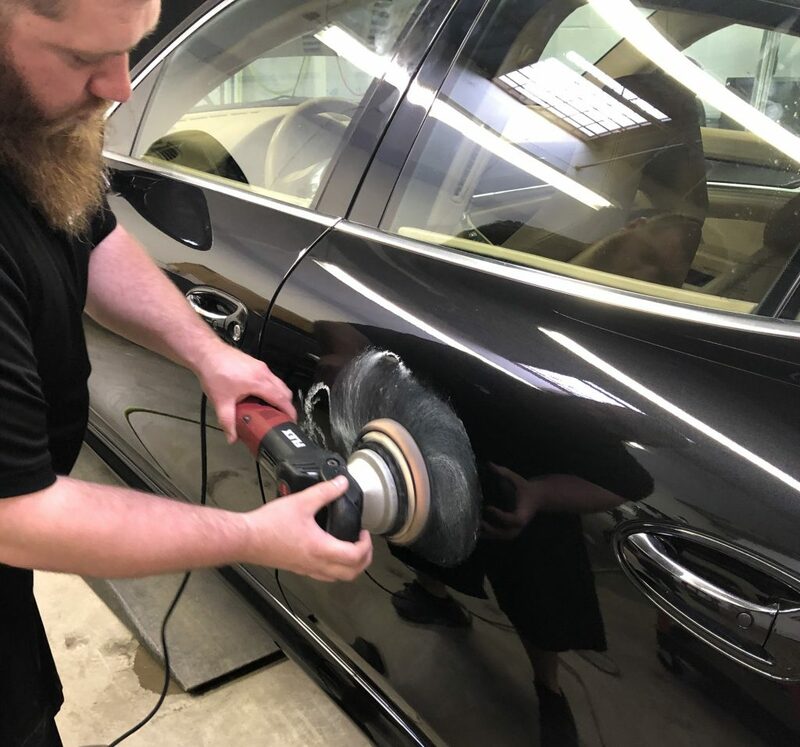 Next comes the Ceramic Coating; working one panel or small section at a time, we apply the coating directly on the paint using an applicator sponge. It’s applied in even horizontal lines followed by even vertical lines for complete coverage. The coating will sit and “cure” for a short time, before we wipe off all residue. After all residue is gone, the coating needs to fully cure and adhere to the vehicle, which can take up to 24 hours. Looking to Get Ceramic Coating for your Car? If you care about preserving the look and quality of your car’s paint, please email us to request a quote. 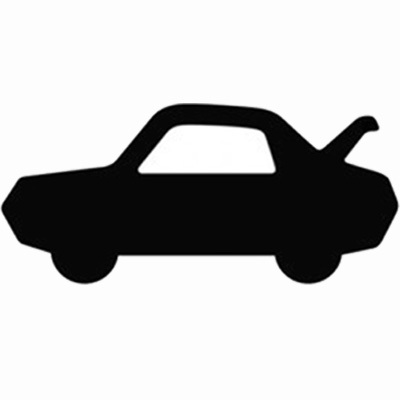 We’ll gladly follow up to give your pricing specific to your vehicle and to answer any questions you have. This entry was posted in Uncategorized on April 19, 2019 by Hollie Prater. Been looking into getting your windows tinted? Come across some terms you’re not familiar with? We’re here to help break down the differences between film types; Dyed, Metallized, Ceramic, and Carbon. Pretty much what it sounds like, a film that contains a layer of colored dye underneath the protective top coat. This film uses the dye to absorb solar heat from light rays providing some heat rejection. Unfortunately, dyed films are not as color stable as some other films and fade over time from UV exposure. This causes the black film to turn more of a purple color and its heat rejection power also diminishes. While it does change the appearance of the vehicle, the heat-rejection is not particularly high. Most people choose this film because of its affordability and appearance, rather than its performance. This type of film is created by embedding metallic particles into the film layers. These metallic particles reflect heat and light rays away from your vehicle and give off a shiny, reflective appearance. The metal elements within the film also strengthen the window making it more shatter and scratch resistant. Metallized films offer better heat rejection than dyed films and are less prone to color fading. A downside to this film is the metallic properties often interfere with technology in the vehicle. Your GPS could be unusable, you could lose cell phone reception, and it can also cause radio reception to give out. This film does not contain any metal or dye but contains ceramic particles and is both nonconductive and nonmetallic. The ceramic elements reflect and reduce solar heat and UV rays from entering the car. While it reflects and absorbs high levels of light, it also allows for maximum visibility, resists glare and fading, and is highly shatter-proof. This film has higher heat rejection than both dyed and metallized films and truly is a performance film with a much higher price tag. This film is comprised of micro-layers of carbon that block about 40% of infrared light from entering the vehicle. This tint protects upholstery and leather from fading due to its infrared blocking properties. Carbon layers also keep the vehicle cool, meaning you won’t need to rely on your air conditioning so much during those hot summer months. Carbon films have a dark matte finish, and they won’t fade over time, making them the more durable and reliable film on the market. This type of film boasts better heat rejection and better UV ray protection than others, and combines a sleek dark look with high performance qualities. Here at Columbus Car Audio we offer 4 different films, a dyed film and 3 varying Carbon films that rival most Ceramic films on the market. Visit HERE to see the window tint films we carry or contact us today for more info and a quote for your car! This entry was posted in Uncategorized on March 15, 2019 by Hollie Prater. 1. Extreme cold weather is the number one reason why people buy a remote car starter. 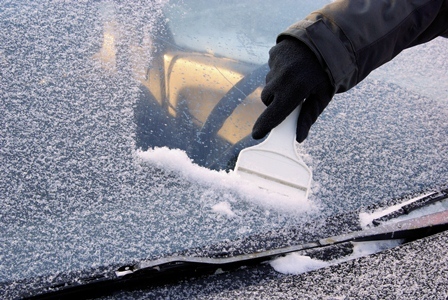 Car exteriors can freeze over in icy rain making key locks and doors freeze shut. Sometimes your car can become sealed shut beneath a layer of ice making it impossible to enter your car to even start it! But when you have a remote car starter, you can start your car from the warmth of your house without scraping or scratching the exterior of your car just to get in. 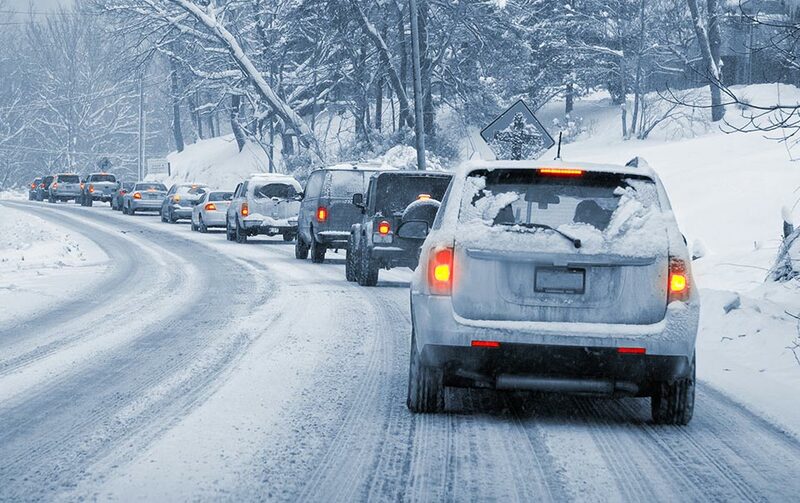 Most of our customers buy remote car starters to avoid these extreme weather conditions. One customer simply said he just wanted to “avoid the freakin’ cold weather! !” when he purchased his. Avoiding the cold weather tops the list of reasons why people buy a remote car starter. 2. Extreme heat is the second most popular reason people want to start their car remotely. Car interiors can get “hot as hell!” in the summer months and people want to start their car remotely to avoid burning their skin on sun fried car interiors. Avoiding an “oven baked interior” that burns your bare skin in the summer is also at the top of the list for weather related reasons to buy a remote car starter. 3. 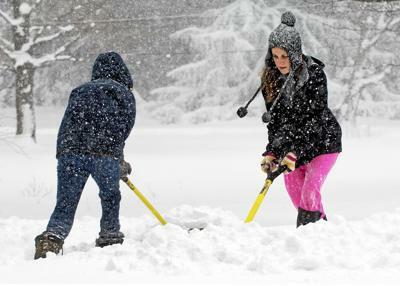 Growing families like the extra support of remote car starters. Congratulations! You are having a new baby and want to bring them home comfortably. Having a child is another popular reason people buy remote car starters. It doesn’t matter if you want to keep them warm in the winter or cool in the summer, a growing family is a happy reason our customers buy remote car starters all year long. Being able to start the car while helping toddlers put their shoes on or while you strap your baby into the car seat is a hugely convenient! Plus, it gives parents an added sense of support and timing when getting ready to shuttle back and forth from play dates, music lessons, and to school. 4. Remote car starters are a gift that keeps on giving! Many of our customers purchase remote car starters as gifts for family members. People love giving remote car starters to the people they care about because it makes their life easier. ”It was a birthday gift for son. “I needed a birthday gift for my wife. Our customers don’t mind admitting they were once jealous of their colleagues who could start their cars remotely while staying inside the warm and dry office. If you don’t like being the last one to get to the best thing since sliced bread, then you might be interested to know that quite a few of our customers bought remote car starters just to keep up with the Joneses. 6. Various health reasons prompt people to buy remote car starters. Health conditions can make it difficult getting into an extremely cold or hot vehicle. Various medications can cause heat intolerance, making it difficult for the body to regulate its internal temperature. 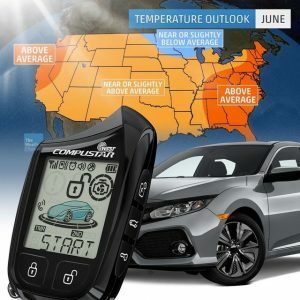 And according to Web MD, “heat or high humidity can make many people with multiple sclerosis (MS) experience a temporary worsening of their symptoms.” Health reasons were only listed by a handful of our customers as to why they buy remote car starters, but we are excited to know that we are helping those customers find new ways to manage their pain. 7. A remote car starter makes life so much easier! You’re getting older, the winters are getting colder, and the summers are getting hotter. It doesn’t matter if you want to save yourself frustration or a few minutes, warm things up, or cool things down; buying a remote car starter can make your life so much easier. Check out our selection of remote starters here. This entry was posted in Uncategorized on March 5, 2019 by Dawn Nocera. Check Your Tires – It’s important to check your tire pressure often. Under-inflated tires can wear down long before they should and lose traction. It’s also a good idea to switch to winter tires to get even better traction during snow and ice storms. Keep your Gas Tank Half Full – What if you get stuck in the snow, or your commute is taking quadruple the normal time due to icy roads? You’ll be glad you had enough gas to make it where you need to go. Replace Your Windshield Wipers – Make sure these are in good condition for driving while during snow. Cold weather can take the life out of wipers quickly, so keep an eye on them. Plus, raising them when you know it’s going to be icy will prevent them from freezing to your windshield. 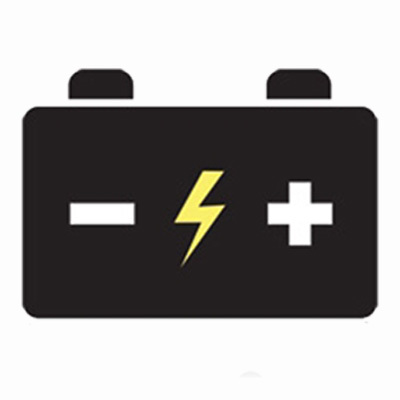 Test Your Battery – Older batteries often have trouble operating during cold weather and some even die completely. Check it and replace now if necessary before you get stranded in a cold parking lot. 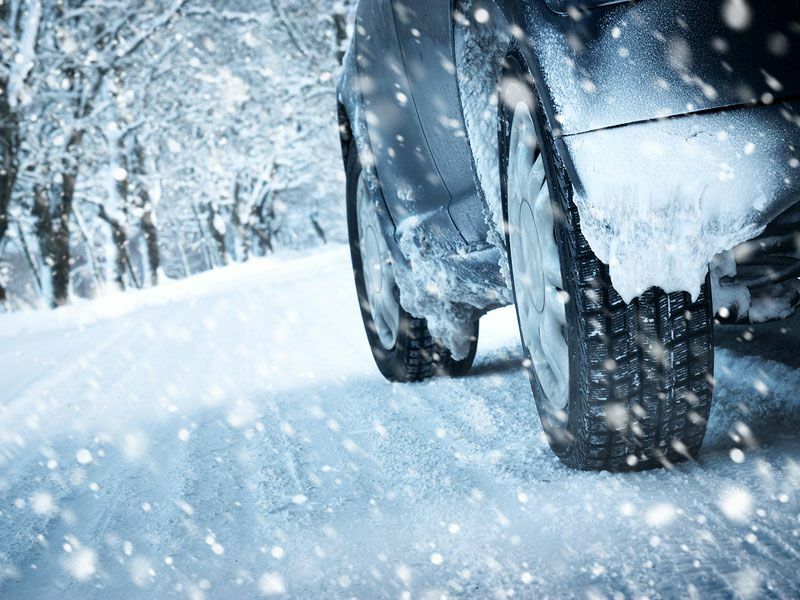 Check Your Brakes – This is especially important in the winter. Making sure your brakes are in good working condition will help you when it comes to braking in snowy conditions or heavy traffic. This entry was posted in Uncategorized on January 9, 2019 by Hollie Prater. Last month, the Trump administration announced the latest round of tariffs on Chinese imports that will add up to a 10% import tax on “industrially significant technologies” (meaning more than 100 car parts and accessories). Unfortunately for small businesses like ours, and for our customers, this means price increases on many products. Going into effect on September 24, these new tariffs will be tacked on to products like Amplifiers, Remote Starts, back up sensors and cameras, and more. New pricing from many of our vendors was effective on October 1, 2018. Luckily, we knew this was coming and were able to place limited orders for certain products and models before our Vendors were forced to raise prices. With those orders, we will still be able to offer you, our valued customers, the “before tariff” prices on many items while those supplies last. We’re doing everything we can to keep our prices as low as possible for as long as possible, especially with the holidays almost upon us. We’re still working with our vendors and trying to absorb some of this increase ourselves, so you don’t have to see a large price hike, but we can’t yet guarantee what products will see an increase, what the increase will be, or when it will take effect. Some products will be impacted a little less, and others a little more. Once we sell through our stock of those items we were able to order at the “before tariff” pricing, our end prices to you will, unfortunately, start to increase. We expect the price increases to reach you starting later this month and certainly by November 1st. We’re dedicated to bringing you the best products and services at the best prices, and we will continue to do so for as long as we’re in business. Let this information serve as fair warning, but also an explanation as to why our prices will inevitably be increasing soon. Just like we prepared by ordering what we could from our vendors before prices rose, we suggest that you prepare too. So, if you’ve been eyeing something in our stores, we recommend you talk to one of our Sales Associates about it sooner rather than later. And of course, we’re here to help in any way we can. Feel free to reach out to us with any questions or concerns about these tariffs. This entry was posted in Uncategorized on October 8, 2018 by Hollie Prater. We’re Celebrating our 40th Anniversary with You! Check out our Company History Below and Learn How We’ve Changed Over the Years! Go to our Facebook Page and See Throwback Pictures! Shop our 40th Anniversary Sale Specials Below! 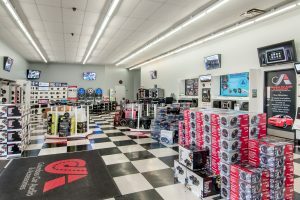 About Columbus Car Audio & Accessories! 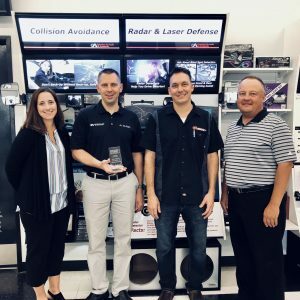 Columbus Car Audio & Accessories started in 1978 by two Columbus residents specializing in car stereos and citizen band radios with one location located on East Main Street. Back then, the business name was Wholesale Consumer Electronics of East Main Street but operated as CJ’s Car Stereo. 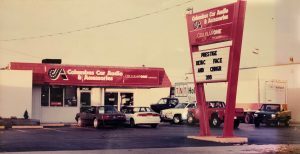 The corporation as we know it today came around 1984 when the original owners merged with Northland Audio on Morse Road, and the name Columbus Car Audio & Accessories was born in 1987. 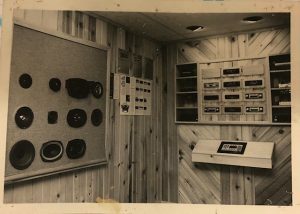 In the early 90’s with citizen band radios declining in sales and popularity, cellular phones and service were brought in making the company one of the first Cellular One Agents in Columbus. In 2002, the current owners, husband and wife team Todd and Danielle Hays, acquired a portion of ownership from Danielle’s father, who was an original owner. Todd and Danielle were not new to the business though, with it always being in Danielle’s family and Todd working at several of the stores starting back in 1986, they were ready to take on the role. With plans of turning Columbus Car Audio & Accessories into a Central Ohio household name, they developed what CCA is today. Over the next several years, they consolidated several of the stores to streamline operations, created a company Mission and employee Values and Standards, and got the business involved with charities to help give back to the local communities. 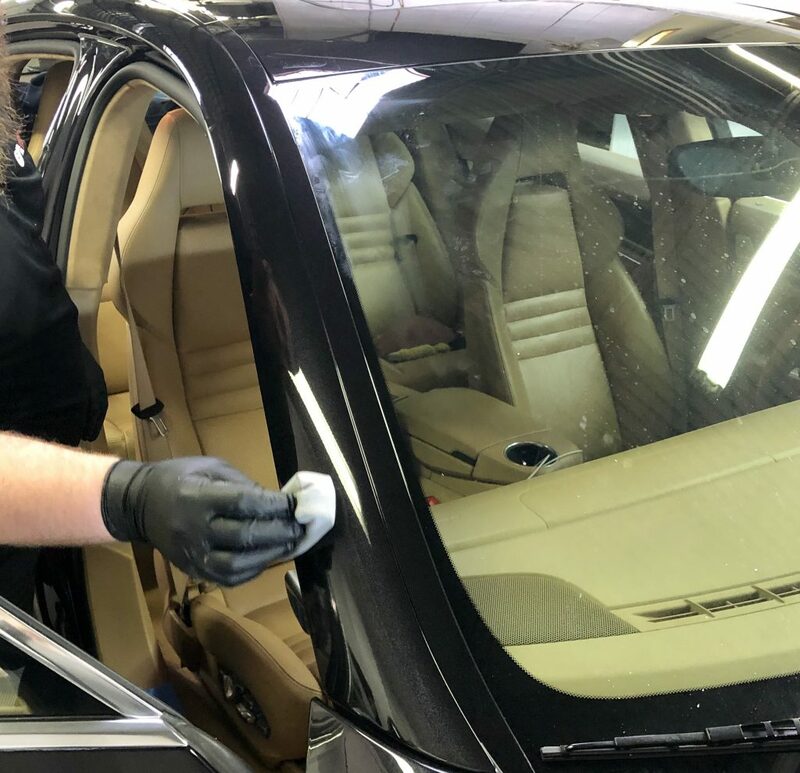 Todd and Danielle also knew the CCA needed to change with the times, so they worked on bringing in and perfecting the installation of new and diverse product lines; such as window tinting, leather interior, and paint protection film. They also put in place a marketing/advertising plan that had never before existed, to gain the attention of local consumers. By the mid/late 2000s, CCA’s reputation and sales were on the upswing. The company now employs 40+ employees with the average employee tenure being 9 years and operates out of 2 locations; Morse Road and Reynoldsburg. Todd and Danielle credit the success of the company to its customer relationships; focusing on not just selling a product but giving the customer trust that their vehicle is in the hands of the experts. CCA also just celebrated its most successful years in company history to date. Today, CCA sells select products on its website, has dedicated customer service staff, and is active with local charities including A Kid Again and Buckeye Cruise for Cancer. They are also planning on expanding to a new, much larger East Columbus location later this year! This entry was posted in Uncategorized on September 1, 2018 by Hollie Prater. What do you do when you have a semi-truck that has an over the top exterior that literally stops traffic? You come to Columbus Car Audio & Accessories to get the interior to match! That’s exactly what Steve Taylor of Transport for Hire did. 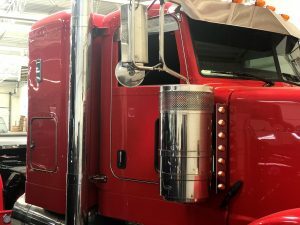 Jayson discussed with Steve how his plans would take the custom look from the outside and bring it to the inside of the semi and make it the best sounding truck he’d ever have. After some hesitation, Steve took our advice and really let us have the freedom to play and create with this install. With the budget determined and Steve on board, we started to design his one-of-a-kind custom system. 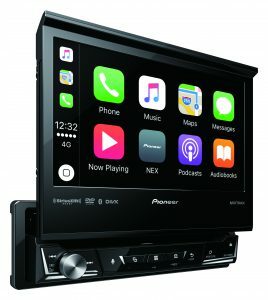 For the source unit, we used the Pioneer AVH-3300NEX, with Apple CarPlay. With this, Steve could use his iPhone for navigation and incorporate Siri directly into his dash. We also flush mounted a USB port in the console, so he’d always have a place to charge his phone while using CarPlay. For the front speakers, we chose to go with the JL Audio M650-CCX-SG-TB marine speakers because we knew Steve would be listening to them for hours at a time, not to mention probably at high volume levels and we knew the JL Audio marine speakers would take the abuse. The factory speaker locations were made for little 4×6” speakers, and we were unable to use them for the new larger speakers. Tyler decided to cut two pair of the M650’s into the bottom side of the overhead console. The console was wide open so there were no real setbacks to that, it was just a little time consuming. Tyler remade the underside of the console using two layers of MDF, he wrapped the bottom layer in black vinyl, and the top layer in red. Both layers were routed out around the edges so that they would have a nice finished look to it that would flow with the factory overhead console. Tyler also installed RGB lighting from Racesport inc. behind the tweeter of each of the JL Audio speakers, which are controlled with a Bluetooth module. Once Tyler made the panel and had the speakers mounted in the overhead area, we knew that it was going to be in your face loud, so we had to come up with something that would keep up for the rears. For the rear speakers, we chose to install JL Audio M770-CCX-SG-TB for the B pillars. To do that, Tyler had to open up the factory locations to house the new 770’s. That was easier said than done just because of the depth that the new speakers have, and the spot we chose to install them. Even though the 770’s are loud we knew that they would not keep up with the two pair of 6.5’s in the front. Especially since they are so low compared to the fronts and blocked by the seats. 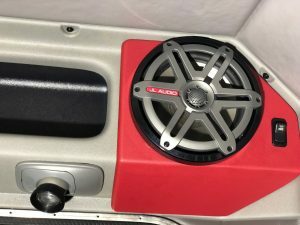 So, we decided to install a pair of JL Audio M880-CCX-SG-TB in the sleeper area so that if he is parked and sitting in the sleeper area he would still have an amazing sound. Again, easier said than done; the stock rear speaker was also a 4×6” opening, and there was no depth. Tyler built new panels out of MDF and wrapped them in red vinyl. As with the rest of the speakers, Tyler installed Racesport RGB lights behind the tweeters and he lit up the overhead storage area in the rear with RGB strips hidden inside the pockets. The panels were tough to do because of how big the new speakers were going to be in comparison to how small the factory speakers were. The final panel was on the larger side but flowed nicely with the rest of the truck. Now that the speakers were installed we needed to move to the subwoofers. We knew we wanted it loud and that slot ported would be the best way to go. We thought there was plenty of space but once Tyler started measuring and calculating air space, he soon realized that it would not be as easy as he thought. 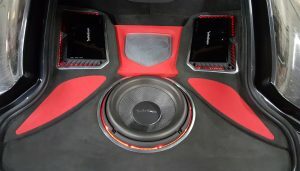 We chose to use a pair of JL Audio 12W6V3-D4 12” woofers. With the airspace he had it was going to be a tight squeeze, plus we had to raise up the box to fit the 12’s, because the floor was higher in the cab than in the sleeping area which is where the box was installed. We also incorporated the amplifiers into the face of the subwoofer enclosure. We chose to use a pair of the JL Audio HD900/5V2 amplifiers to run everything. We used these amps because they have the regulated intelligent power supply. With that technology we were able to get plenty of power to each subwoofer, and all the M Series speakers in the vehicle. We wired one HD900/5 for the left side and one for the right side. Originally, we were going to use the new JL Audio VXI amplifiers, but Jayson was afraid that they would not have enough power to really give Steve what he was looking for in the bottom end. The amplifiers were flushed into the face and wrapped in red vinyl to match the red accent panels Tyler created throughout the semi. He also installed RGB lights around the amplifiers to really make the interior a cohesive design. Since Steve spends so much time on the road we also had to give him some entertainment in the sleeper area. Tyler mounted a 32” Samsung LCD television and installed an Xbox One so that he could play video games, watch a DVD or even Stream Netflix. The hard part about this was making sure that the television would not come loose or fall while driving, so we installed a fixed television mount on the passenger side wall of the semi. Then Tyler had to get creative to install the Xbox one system. He fabricated brackets out of MDF, and black carpet, and mounted it to the wall utilizing factory bolt locations. He made the Xbox one removable in case Steve would ever like to take it out. Everything turned out great in the end, but there were a lot of challenges that came about through the installation process. The biggest obstacle was running all the wiring and coming up with bigger speaker locations while still making it seem like a factory install. 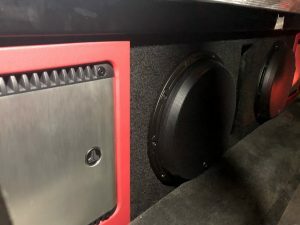 It didn’t seem like it would be a big deal in the beginning but then Tyler realized that there was not much room to incorporate larger speakers, extra speakers, and hide the wiring behind panels like he does in cars. 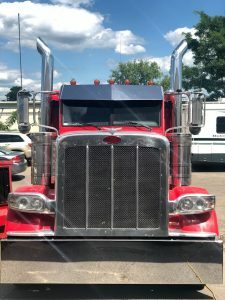 With a lot of creativity, he was able to come up with a truly amazing installation that appears as if it came from Peterbilt and route the wires in a way that you could not tell there was anything done, and the outcome was AMAZING!!! Tyler did an amazing job with this and really took the time to incorporate the red vinyl accent panels and the RGB lighting throughout the interior, giving it subtle accents that really make it one of a kind. The best part of the build was getting to show our client his baby. His mouth dropped and an ear to ear grin appeared as he played through a variety of his favorite songs. That was exactly what we were waiting to see, this was his distinct sign of approval! He loves this truck and was excited to get back on the road and experiment with the new products. It was such an amazing project and Columbus Car Audio & Accessories was proud to be a part of this build and are excited to start the next project for Steve and his team at Transport for Hire. He is already in the process of finishing up a new build to drop off to us. This entry was posted in Uncategorized on August 20, 2018 by Hollie Prater. Your car probably isn’t just a car to you, it’s much more; it’s an investment and maybe even part of your family. That’s why it’s important to arm your vehicle with a security system to ensure your car stays your car. 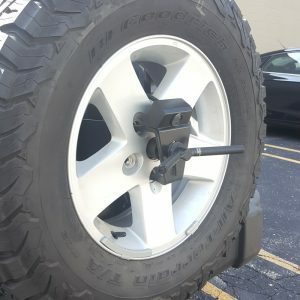 While thefts are down dramatically since their all-time high in 1992, thousands of vehicles continue to be stolen each year. From 2007 through 2015, motor vehicle theft dropped from 1.1 million to 686,803 vehicles. 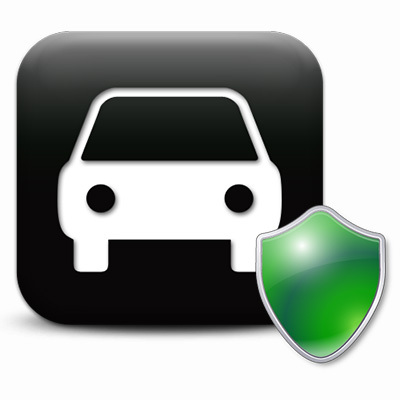 However, in the past two years, motor vehicle theft rates have bounced back – increasing 10%. 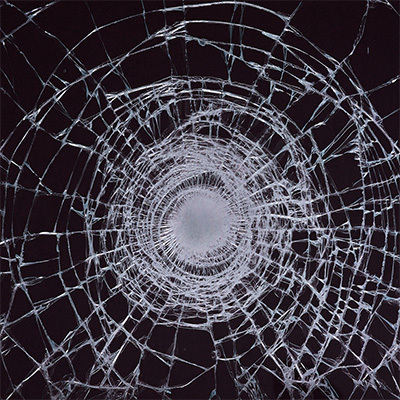 Meanwhile, “smash and grab” car break-ins are still a frequent occurrence across the United States. 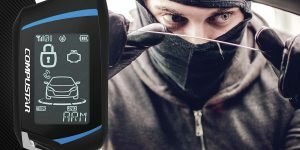 While the introduction of “smart key” fobs has widely eliminated motor theft via hot-wiring, thieves are continuing to cost drivers billions of dollars a year in damage and stolen goods. In 2016 alone, $5.9 billion was lost due to motor vehicle theft and intrusion. Thus, it is absolutely essential that drivers do whatever they can do deter, detect, and prevent theft of their vehicles. Is Factory Alarm Really Enough? 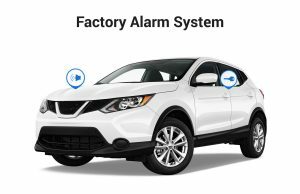 Your vehicle probably came from the factory with some small security system, but all that really means is you have keyless entry and an audible alarm. 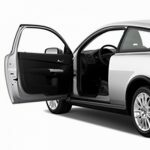 Keyless Entry – Most vehicles come standard with a remote key fob that allows drivers to conveniently lock and unlock their doors from 30 – 40 feet away. While the vehicle is locked, your vehicle will monitor your doors, so if you someone manages to open the door, the alarm will be triggered. Alarm – If an intrusion is detected (door opened while locked), the vehicle’s alarm will start to sound, alerting people nearby. Most standard security systems simply use the vehicle’s horn. Is this really enough to deter someone from stealing from you? How often have you heard a nearby car alarm and simply ignored it? Impact Detection – Compustar security systems include dual-stage shock sensors that detect two levels of impact, both of which provide unique warning chirps from the alarm siren. Theft Deterrent LED – While your system is armed and the doors are locked, this LED will bling a bright blue light, signaling to car thieves that your vehicle is protected. Starter Kill – While your system is armed, Compustar will safely disable your vehicle’s starter until you disarm your system. Alarm Siren – A Compustar alarm siren is loud, really loud. 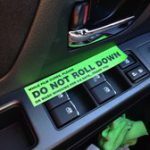 This ensures anyone messing with your vehicle will have a terrible experience doing so. 2-Way Alert Compatible – Pair your security system with a compatible 2-Way LCD remote or event the SmartPhone application, DroneMobile, and you’ll be alerted as soon as your alarm is triggered. Looking for even more protection to fit your specific needs? We offer many customizable add-ons for your security system too! *Some vehicles may require additional parts and labor. Not all enhancements are compatible with every vehicle or every security system. This entry was posted in Uncategorized on June 12, 2018 by Hollie Prater. A Subwoofer Upgrade is For You! Auto manufacturers have actually made great strides in improving the overall quality of factory audio systems. Despite this, most music lovers would agree that the majority of stock sound systems could benefit from more and better bass. While not everyone wants a ‘boom car’ with a trunk full of subwoofers, adding a bit of bass is one of the most significant improvements you can make to your factory system. Adding a subwoofer can actually be quite easy too; thanks to simple upgrades that can work with most vehicles. 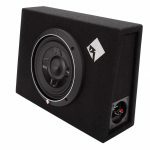 Amplified Subwoofers: These all-in-one subwoofer enclosures offer the convenience of built in power matched to the subwoofer specs. In most cases, the built in amp features speaker level inputs that are required for integration with factory systems. 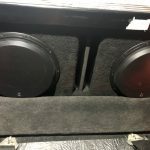 Vehicle Specific Subwoofers: One drawback of a subwoofer is the inevitable loss of cargo space when using a proper enclosure. 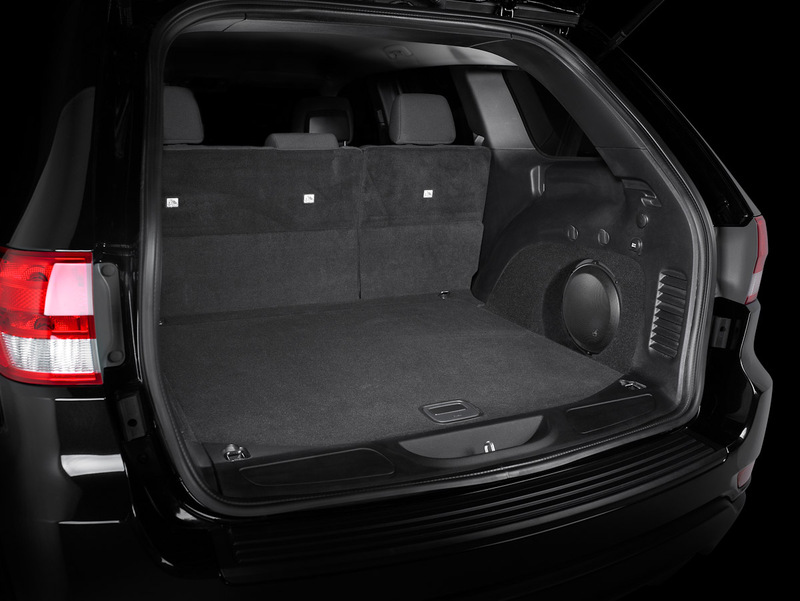 Enter vehicle specific subwoofers, which are made specifically to fit in discreet corners and spaces of designated vehicles. Not only do you get a perfect fit suwoofer, it’s also tuned specifically to your vehicle. enclosure type (sealed or ported). Pre-Fabricated Enclosed Subwoofers: Already pre-mounted in a box designed to accommodate the subwoofer. 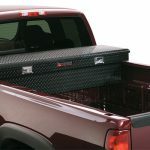 These typically come in different sizes and shapes so you can choose the best fit for your vehicle and space. Maybe you’re not sure which subwoofer is right for you? We can help! Come talk to us about what you’re hoping to get out of your sound system and we can work together on options to get you there. Whether you’re looking for vehicle specific ease or a fully custom designed system, we can help build you the system of your dreams! This entry was posted in Uncategorized on May 8, 2018 by Hollie Prater. 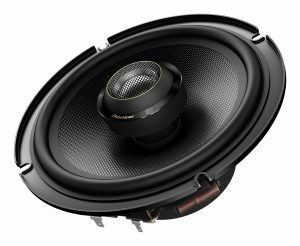 Pioneer Electronics (USA) Inc. today introduced the latest iteration of its TS-D line of high performance automotive component speakers packages. The result of ongoing research and development, the TS-D speakers are designed to maintain an exceptionally open and smooth sound quality with solid bass response, bolder vocals, precise staging and clear separation of instruments while greatly improving their installation flexibility and allowing fitment in a broader range of vehicles. The new cone and surround on the Pioneer TS-D components offer a variety of improvements ideal for optimal performance. 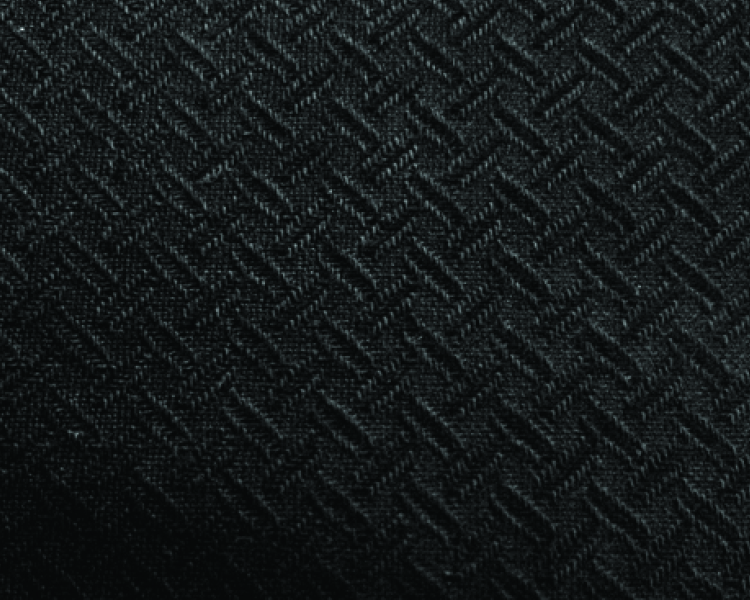 The aramid fiber cone is constructed from Twaron woven cloth that is hardened and shaped to produce a rigid, yet low mass cone with excellent dampening characteristics. Adding an elastic polymer surround and bullet shaped phase plug, the TS-D woofers demonstrate quicker response with superior midrange extension and a very natural sound. The new 0.9 inch tweeters on the TS-D components maintain an exceptionally open and smooth sound quality with silky reproduction of higher frequencies. The design of the TS-D tweeters include a soft dome diaphragm and surround constructed out of lightweight polyester woven fibers, for increased sensitivity and improved response. In addition, the tweeter is designed with a larger rear chamber and rounded over flange, for extended frequency range and wider dispersion. To fit in the various tweeter locations found in vehicle doors and dashboards, the tweeters have a compact 1-1/2 inch outside mounting diameter and a mounting depth of only 7/8ths of an inch. The crossover network on the TS-D components has been redesigned to reduce the chassis size significantly while maintaining the use of high quality capacitors, inductors and resistors. The compact size improves installation flexibility, allowing the crossover to fit easily and inconspicuously inside a door, under the dash or behind a panel. A selectable tweeter level switch (-3dB, 0dB, +3dB) allows the output of the tweeter and woofer to be closely matched. 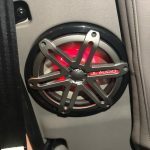 The component package offers multiple tweeter mounts and woofer/tweeter installation adapters to fit in many of the most popular and top selling vehicles on the road today. The TS-D1730C includes a pair of 6″ x 9″ and 6-3/4″ woofer/tweeter installation plates designed to mount the woofer and tweeter into factory door locations. The plates are pre-scored with vehicle specific cutouts to match the speaker locations in many Toyota®, Scion®, and Honda® vehicles. 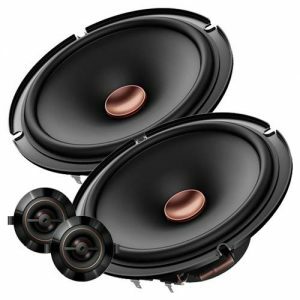 The TS-D1330C includes a pair of 6″ x 8″ woofer/tweeter installation plates designed to mount the woofer and tweeter into many Ford® and Mazda® applications. Both packages include tweeter spacers to accommodate flush or angle mounting. This entry was posted in Uncategorized on May 7, 2018 by Hollie Prater. Car stereos direct from the factory just aren’t very good. Think about it; car manufacturers make cars, not stereos. Factory systems are typically designed poorly and made with cheap materials. Yes, technically, you can still listen to your music, but it probably doesn’t sound too great. There are tons of aftermarket products that are made specifically for improving a car stereo. (Hey, we’ve made a business out of it!) Not every vehicle needs to replace all of its factory components, but there are common pieces that more than likely need upgraded. Replace Your Head Unit: It’s what allows you to play music, make phone calls, navigate and more. You can start by replacing the heart of your car’s sound system. Factory head units are very basic and aren’t powerful enough to give you crisp quality sound. Aftermarket head units are equipped with advanced features like built in navigation, Apple CarPlay, SiriusXM and more! Upgrade Your Speakers: It’s your door speakers and tweeters that dictate how clear and full your car’s sound is. Factory speakers typically can’t deliver good sound quality due to poor manufacturing. 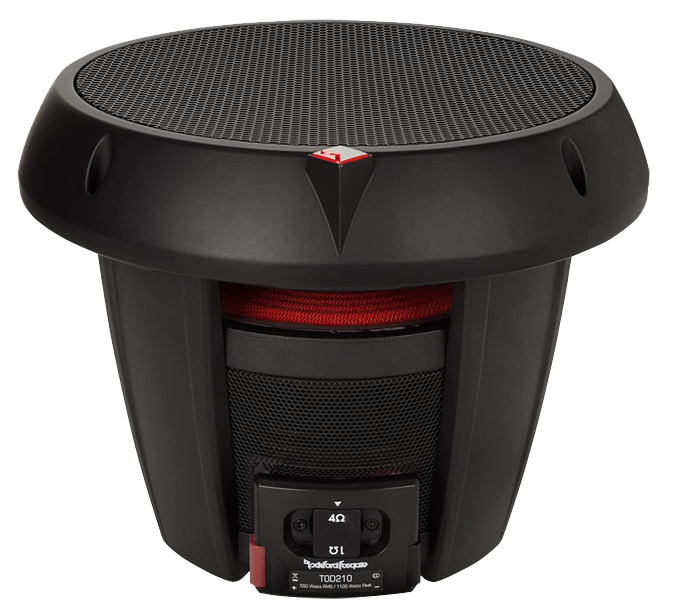 Aftermarket speakers are built with the highest quality materials for better sound performance. Take some time to listen to different car audio brands’ speakers and then choose the size that fits your vehicle. Get a Subwoofer: These speakers are meant to cover the lower end frequencies in your music. Subwoofers are available in different sizes depending on how you want your music to sound. If you want a full-bodied sound from your music, then adding a subwoofer is key. Add an Amplifier: Without sufficient power, subwoofers and speakers are pretty worthless. Adding an external amp to your system can give you the power you need to get the most of out your speakers and subs and get a sound that your factory head unit won’t be able to produce. Sure, you may have heard of all the things listed above that could improve your sound, but maybe you don’t know how to shop for them? That’s where we can definitely help. 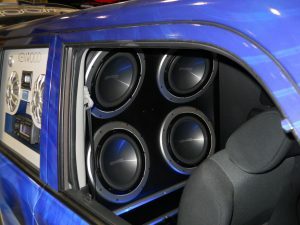 Not only do we sell the best bands in car audio, but we know what we’re talking about and how to install them. Visit us with your vehicle and we can discuss what you want your music to sound like and come up with a plan so you can get the most out of your car stereo. This entry was posted in Uncategorized on May 6, 2018 by Hollie Prater. How do I shop for an Amplifier? Make sure to match the power output of the amplifier to the power handling of your speakers. If your front and rear speakers have slightly different power handling ratings, use the lower rating and find an amplifier that comes close to that. Max Power, Peak Power or RMS Rating? We suggest looking at the RMS power rating on amplifiers and speakers. Some manufacturers use terms like Peak Power or Max Power but neither of these reflect the true performance as well as the RMS rating. 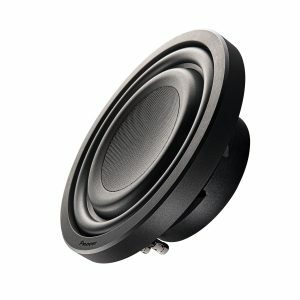 Can I amplify my factory speakers? Adding an amplifier to factory speakers isn’t always a good idea. 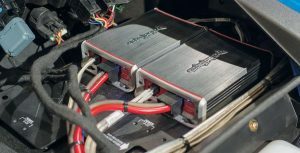 The vehicle manufacturer selected these speakers, meaning they weren’t high on the priority list, and they may have some characteristic that makes them incompatible with aftermarket amplifiers. If you’re wanting better sound and thinking of an amplifier, it’s good to upgrade to powerful and compatible speakers as well. Don’t factory stereos come with built in amplifiers – Why would I need one? Do I need an amplifier if I’ve upgraded my speakers? Even if you’ve upgraded your car’s sound system with the very latest head unit and speakers, it won’t make much difference to your overall sound if you’re not providing it with enough power. It really depends on what you want to power or how many speakers you need to power. Amplifiers are categorized by the number of ‘channels’, or speakers, they can power. A one-channel, or mono amplifier, can power a single speaker. (Standardly used to power a subwoofer). Two-channel amplifiers can power two speakers, and you can guess how many speakers a four-channel amplifier can power. (It’s four!) 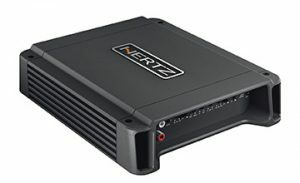 There are also five- channel amplifiers that can power your entire system (2 front speakers, 2 rear speakers, and a sub). If I add an amplifier and new speakers, do I have to get a new head unit too? Not if you don’t want to. 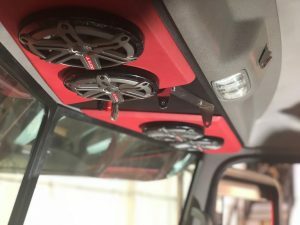 If you’d prefer to keep the factory look to your vehicle, you can certainly just upgrade your speakers and add an amplifier to improve your sound. In fact, many amplifiers can actually integrate with factory radios. No matter what questions you might have, we’re here to help! Contact us or visit one of our stores today to speak to an expert who can help you navigate the amplifier buying process. We can answer any questions, explain any process, and even give suggestions on the best amplifier upgrade for your vehicle. This entry was posted in Uncategorized on May 1, 2018 by Hollie Prater. 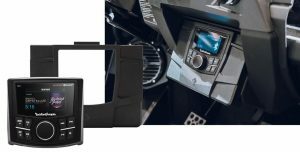 JL Audio has been bringing us the Stealthbox for our cars and trucks for a while now, but did you know they recently introduced Stealthbox for Polaris Slingshots? (We’re pretty excited about it!) Now it’s even easier to get amped up sound for your off-road adventures! hardware kit. Each sealed enclosure houses a pair of JL Audio premium M-Series 7.7-inch marine component systems to project clean, powerful sound whether you are cruising or letting it rip. 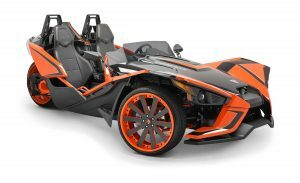 Subwoofers: Built specifically to fit Polaris Slingshot vehicles, these Stealthbox systems provide powerful amounts of deep bass, without interfering with seating space or comfort. Made from 100% fiberglass with a rugged weatherproof finish, each sealed enclosure houses a 10W3v3 subwoofer and solidly mounts into one rear storage compartment. Can purchase one or even two for maximum sub-bass performance. This entry was posted in Uncategorized on April 13, 2018 by Hollie Prater. 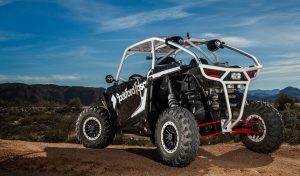 It’s no wonder the Polaris RZR is one of the most popular ATVs around. These rugged vehicles are built for pure off-road fun, whether you’re going down a trail or up a dune. 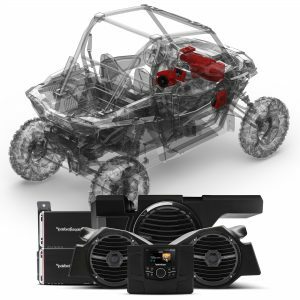 Music makes everything more fun, so it’s great to see that Rockford Fosgate has designed custom audio gear for select RZR 900, RZR XP 1000, and RZR XP models. With four packages to choose from, you can select the system that’s right for the way you use your ATV. 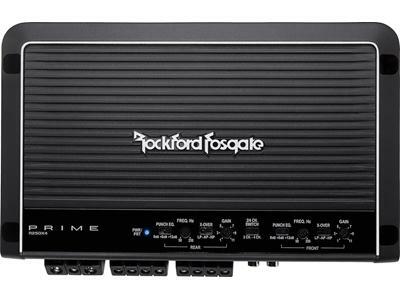 Upgrade the radio you already have with the Rockford Fosgate PMX-2 receiver found in Stage 1 (and in the other three stages, too), or go all-out with the awesome array of speakers, subs, and amps in the Stage 4 package. We’ll get to the packages in a bit, but first, let me tell you about the gear Rockford Fosgate has put together. 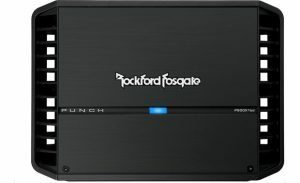 The Rockford Fosgate Punch PMX-2 (found in all four packages) packs a lot of features into a compact, water-resistant digital media receiver. 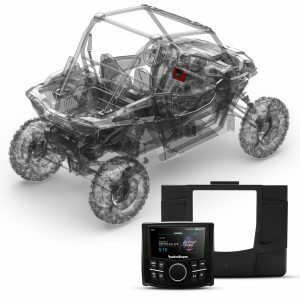 This trail-ready stereo has built-in Bluetooth® connectivity, so you can stream music from your phone and crank up your favorites. If you prefer to plug in, there’s an aux input, plus a USB input that will charge your phone while you’re playing music. 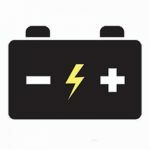 And speaking of charges, the PMX-2 also has a low-voltage warning alert built-in, so you won’t accidentally drain your battery. In addition to AM and FM radio, you can also tune into the weather band to stay up to date on current conditions — a handy feature to have when you’re in the middle of nowhere. 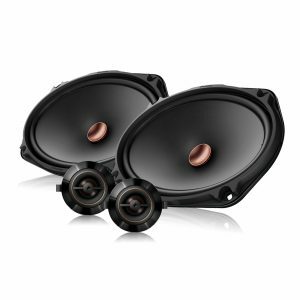 Rockford’s RM1652B Prime 6-1/2″ speakers (which you get starting with the Stage 2 package) are tough enough for off-road and marine use, but they also sound great. The poly cone is treated to withstand moisture and sunlight, as is the 1″ volcano dome tweeter in the grille. These full-range speakers give you the performance you expect in a package you won’t have to worry about when the going gets rough. 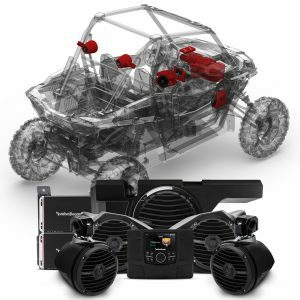 They’re really easy to install, too, thanks to the direct-fit speaker enclosures included in your RZR kit. Made from a fiber-reinforced composite blend, they bolt right in using the factory mounting holes. No drilling needed! For top-shelf sound, there’s the Stage 4 package, which adds a pair of enclosed RM1652W-MB Prime roll bar speakers. These 6-1/2″ speakers are marine-rated and really rock. The adjustable clamp rotates for perfect positioning. A 10″ subwoofer? On an ATV? Absolutely! 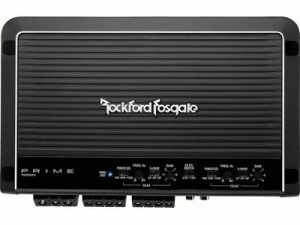 The Rockford Fosgate RM110D2B sub (found in Stages 3 and 4) fits into select RZRs with help from a direct-fit mounting kit that uses the factory glove box space to create a seamless, custom-looking installation. The sub is marine-rated and ready for anything, while the bolt-on enclosure is made from a durable composite that blends right into the interior. A system like this requires serious power, and the Stage 3 and Stage 4 packages include two compact amps that will give you all you need. The 4-channel Punch PBR300X4 will take care of your speakers, whether you go straight to Stage 4 or add tower speakers later. The Punch PBR300X1 mono amp will power your subwoofer. Your kit includes mounting plates for these marine-rated, trail-ready amps. 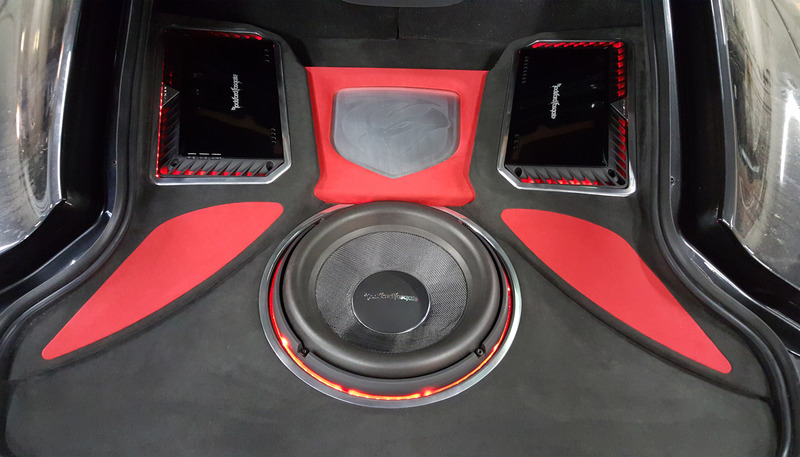 With Rockford Fosgate’s handy packages, you can get exactly the amount of high-quality audio you want for your ride. This entry was posted in Uncategorized on April 3, 2018 by Hollie Prater. It seems like ATV’s and UTVs are just about everywhere these days. They’re not just for farmers surveying their land, they’re now used more and more for recreation. 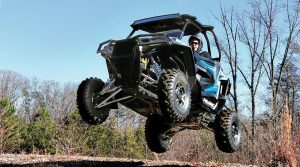 With these vehicles being so versatile and getting more popular in recent years, owners are looking for ways to amp up the fun they can have in their new recreational vehicles. 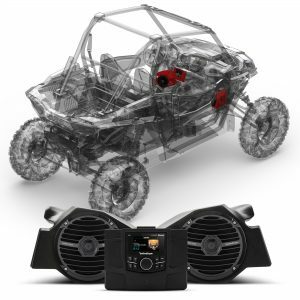 There’s not shortage of updates our there available for ATV and UTVs, ranging from simple accessories and lighting to complete custom weather-proof sound systems. Go all out and really increase the sound from your vehicle with the installation an amplifier and even subwoofers. Some manufacturers have even developed custom made kits that are vehicle specific systems to fit in your vehicle with minimal hassle and change. 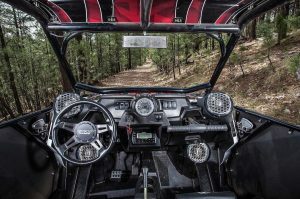 The possibilities really are endless when it comes to customizing your UTV and no matter what you’re looking for, we can work with you to make it attainable! This entry was posted in Uncategorized on March 27, 2018 by Hollie Prater. Sure, you’ve seen a dash cam before, but you probably only think Police Officers or professional Truck drivers need them, think again! 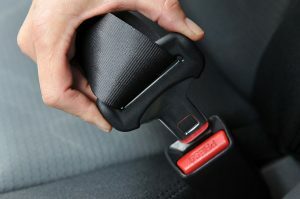 They can be extremely useful to everyone, especially when a dreaded accident occurs. Provides a full record of an incident. Some dash cameras are motion detections cameras meaning you won’t have to remember to turn it on, it’ll record automatically. Every time you drive, you’ll have a full record of your habits, route, and any incidents that might occur. Not only will you have a comprehensive record of said incident, but it could come in handy if your vehicle’s is involved in a hit and run or if you’re dealing with an uninsured driver. A dash cam provides full proof that you can hand over to the authorities if needed. Records other drivers. A dash camera is also capable of recording other drivers, providing evidence of drunk drivers, bad drivers, and road rage incidents too. Surveillance on young and new drivers. 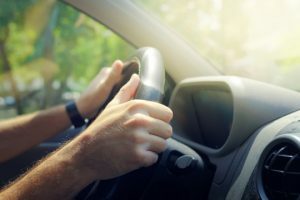 As a parent, having a child of driving age can be scary, a dash cam can keep track of your teen’s driving habits to help turn them into better drivers and help keep them safe (not to mention peace of mind for a parent). They can also be used as GPS system because the camera will show where a driver has been. Keep memories of road trips. 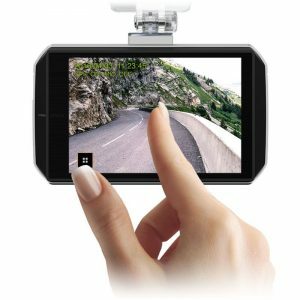 Dash cams record when your car is moving, so you’ll get comprehensive footage of all your memorable road trips on Route 66. Capture Crimes. Ever come out of a crowded mall to find dings and scratches your car? Or ever wake up to find someone smashed your window to steal your stereo and rip up your dash? A dash cam will record all of that, so you’ll be able to provide proof to authorities or insurance companies. There are a lot of everyday uses for a dash cam, so if you’re thinking about getting one for your vehicle, let us help. We can walk you through all the options and brands we carry and find the best camera for your car! This entry was posted in Uncategorized on January 30, 2018 by Hollie Prater. With winter weather comes that dreaded slushy, salty, muddy mess that appears right after a good snow. You know what we’re talking about! You find yourself tracking that into you house, it’s all over your shoes, and your car floor mats are a disaster once the snow thaws! Now, you can at least prevent that awful mess from ruining your vehicle’s interior. 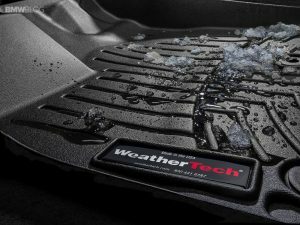 Enter the solution: WeatherTech FloorLiners! In the quest for the most advanced concept in floor protection, product development engineers utilize the most sophisticated tools available for data capture and reverse engineering of complex vehicle geometry such as floor surfaces, cargo areas, window openings or fenders. These digital laser measurements allow WeatherTech FloorLiners to accurately and completely line the interior carpet of your vehicle; up the front, back and even up the sides of the vehicle’s footwell. 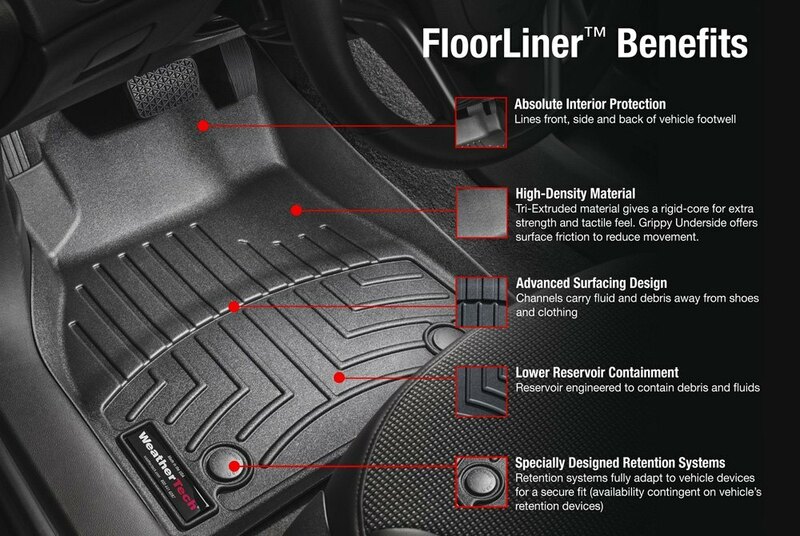 WeatherTech Floorliners are available for most makes and models and are truly custom fit to specific vehicles. Also available is the Rear FloorLiner, a one or two piece flexible liner made specifically to go “over the hump” in your backseats. WeatherTech FloorLiners help protect resale value too. Simply put, the cost of owning a vehicle is the difference between what you pay for it and what you sell it for. There are many factors that influence resale value; miles, exterior condition, maintenance history and of course interior condition. The FloorLiner will help you maintain that “just-from-the-factory” clean carpet. You may not see every make, model, or color listed on our website, but we’d be happy to order whatever you need! Most WeatherTech products are shipped to us in a matter of days so you’ll be able to get your vehicle’s interior protected quickly! 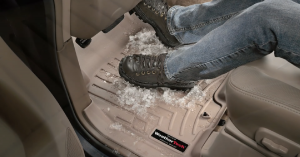 Contact us today to find out more about WeatherTech FloorLiners and how they can help save your car this winter! 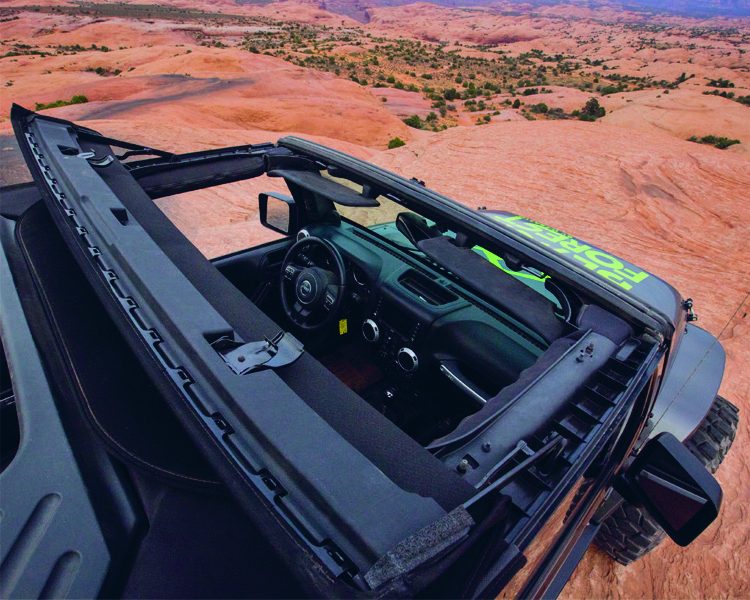 Check out the WeatherTech Website to See the Options for your Vehicle! This entry was posted in Uncategorized on December 13, 2017 by Hollie Prater. 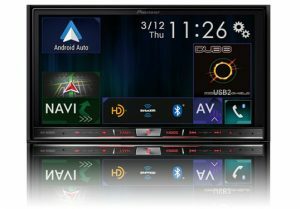 Enter to win a AVH2330NEX! 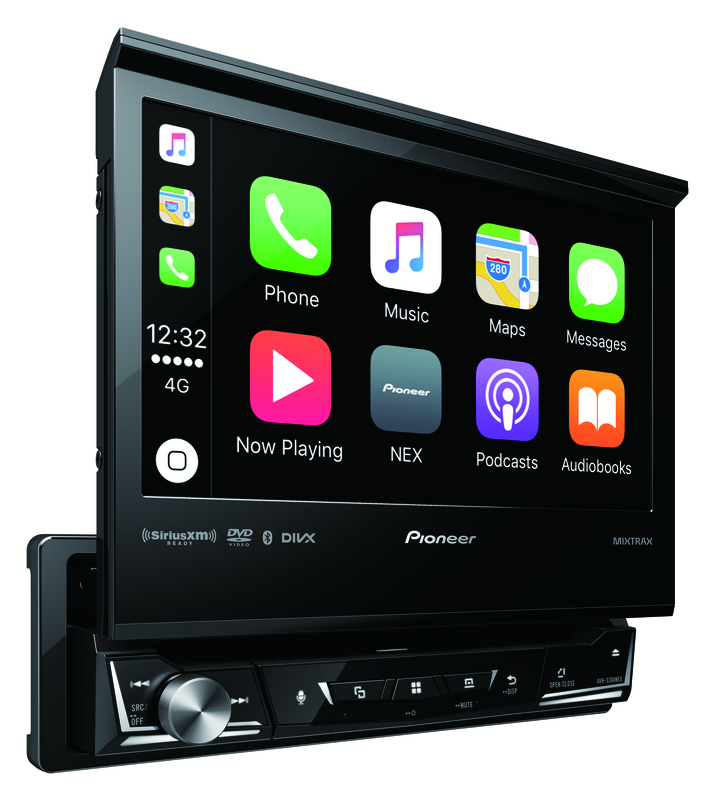 Want to win a new Pioneer AVH2330NEX Receiver plus a $150 Gift Card toward installation? We thought you’d say yes! Fill out the form below to be enter to win! 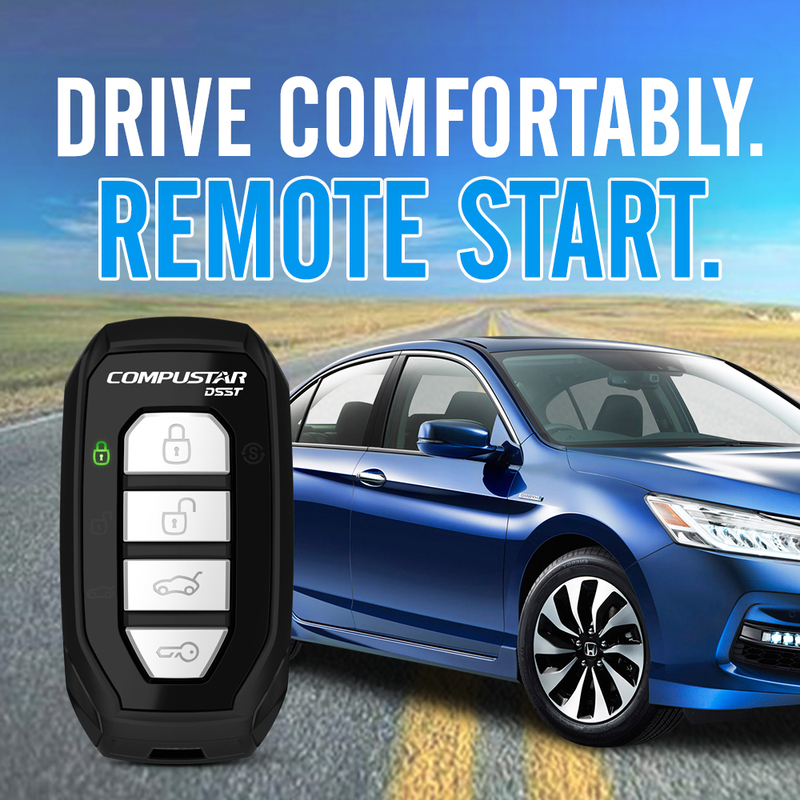 Enter to Win A Remote Start! This entry was posted in Uncategorized on December 5, 2017 by Hollie Prater. 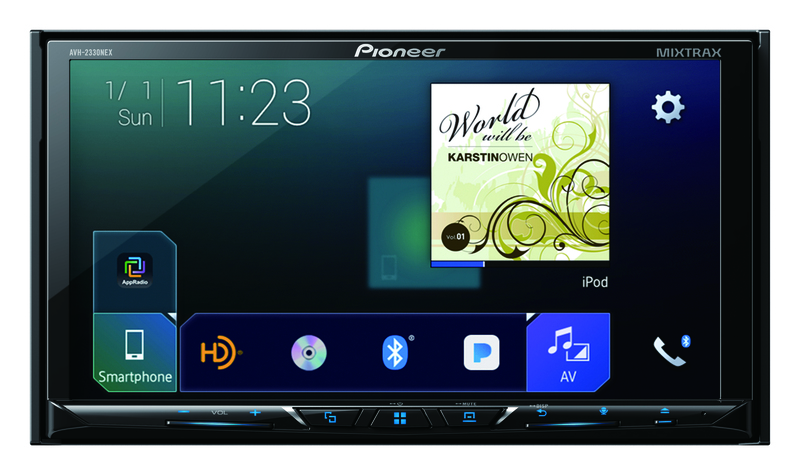 Check Out Below the Great Features of the Pioneer AVH-3300NEX Multimedia DVD Receiver! 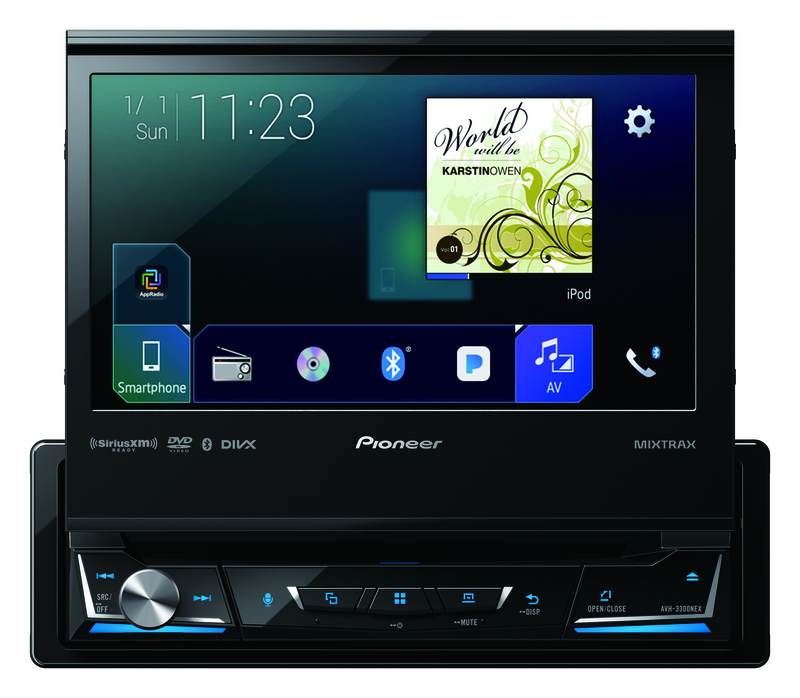 World’s 1st 1-Din fully motorized flip out screen with Apple CarPlay and Android Auto! 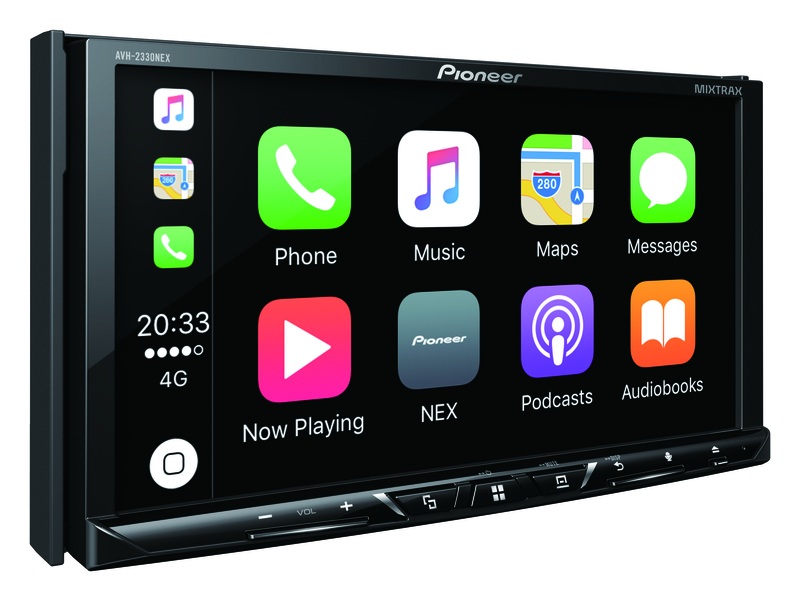 The AVH-2330NEX features Apple CarPlay, the smarter, safer and more fun way to use your iPhone® in the car. Apple CarPlay gives iPhone users an incredibly intuitive way to make calls, use Maps, listen to music, and access messages with just a word or a touch. The AVH-2330NEX also features Android Auto which extends the Android platform into the car in a way that’s purpose-built for driving and automatically brings you useful information and organizes it into simple cards that appear just when they’re needed. 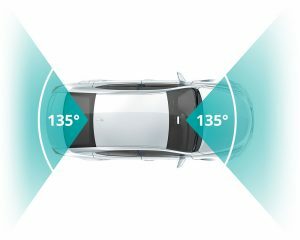 It’s designed to minimize distraction so you can stay focused on the road ahead. 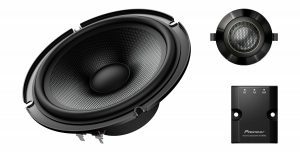 Pioneer Electronics (USA) Inc. has introduced new Z series of speakers and subwoofers; high performance automotive loudspeakers. They are engineered to reproduce music in its purest form and allow the listener to experience the music as the artist intended through an uncompromising pursuit of premium sound quality, and by taking full advantage of unique concepts and proprietary advanced technology. Hi-Res Audio recordings contain significantly more data compared to a standard CD recording and require a loudspeaker that is capable of smoothly reproducing frequencies of 40kHz or higher. The Z speakers are designed to deliver sound that is clearer, sharper and more complex – reproducing music that is closer to the original performance. The Z tweeter’s aluminum alloy diaphragm allows the tweeter to remain pistonic and linear at ultrasonic frequencies. The unique diaphragm shape, developed using HSDOM (Harmonized Synthetic Diaphragm Optimum Method) computer analysis, accurately controls differential vibration produced by the diaphragm and improves high frequency dispersion. 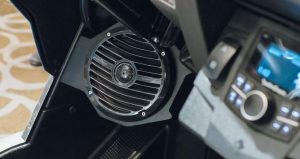 Pioneer’s Vertex Drive System improves the mechanical coupling of the voice coil and the tweeter diaphragm, reducing distortion and coloration caused by low damping and increasing power handling. 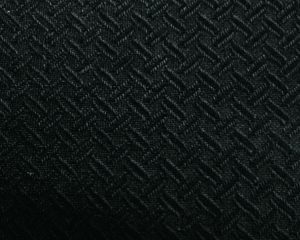 Twaron® is a synthetic aramid fiber that is very strong, heat resistant and rigid when woven into a cloth material. Strength and rigidity are important to keep cone shape at higher powers and maintain responsiveness. The result is fast response and clear bass, with low coloration and distortion. More than any other speaker, the positioning and mounting location of the tweeter is crucial to the stereo system and the overall listening experience. 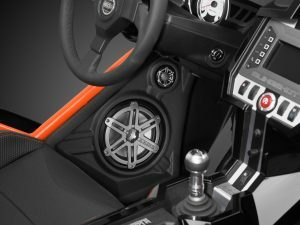 To ensure installation flexibility, the Z component system tweeters are extremely compact and feature a unique swivel mount that allows precise aiming of high frequencies. 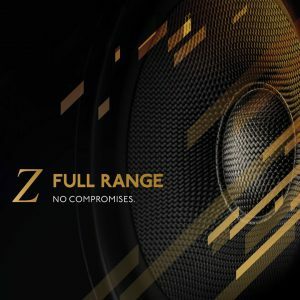 The Z subwoofer uses much of the same highly advanced technology as the Z full range loudspeakers to create seamlessly integrated musical perfection – fast, detailed and extended bass with tremendous impact and clarity. Combining high fidelity and high output in a compact, shallow design, the Z subwoofer offers both unparalleled performance and near limitless installation flexibility. 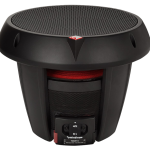 As a result, the placement of the Z subwoofer can be optimized for sound quality and bass reinforcement, unlike conventional subwoofers that must be installed where they physically fit. Balance, speed, power and bass extension unite to create the ultimate low-frequency experience. Even in the sub-bass region, Hi-Res Audio recordings require a subwoofer that is capable of extremely high dynamic range and low distortion that integrates smoothly with the mid- and high-frequency speakers. The Z subwoofers are designed to take full advantage of Hi-Res Audio recordings, with wide dynamics, extended frequency response and extraordinarily accurate and detailed bass. Subwoofer cones created with Twaron are rigid and low mass with excellent damping characteristics. Strength and rigidity are important to maintain cone shape during challenging bass notes, while damping is critical to improving the responsiveness and signal accuracy. The low mass of an aramid fiber cone improves both sensitivity and the speed of the Z subwoofer, increasing output and power handling. Subwoofers require an extremely strong basket that holds the cone, suspension and motor structure together in perfect alignment even during high excursions at low frequencies. Traditional subwoofers require large enclosures that can be challenging to install seamlessly. 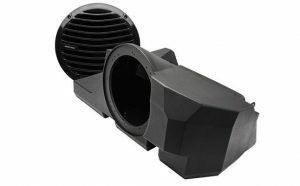 The Z subwoofer features a shallow basket for installation flexibility, a low Q design for high performance in small enclosures, an oversized cone (15% larger when compared to a conventional 10″ subwoofer) and a motor structure with a powerful 67.7 oz. magnet that combine to produce fast, detailed and extended bass with tremendous impact and clarity. This entry was posted in Uncategorized on November 16, 2017 by Hollie Prater. Check Out Below the Great Features of the Pioneer AVIC-8201NEX Flagship In-Dash Navigation Receiver! Included Bonus Back Up Camera! 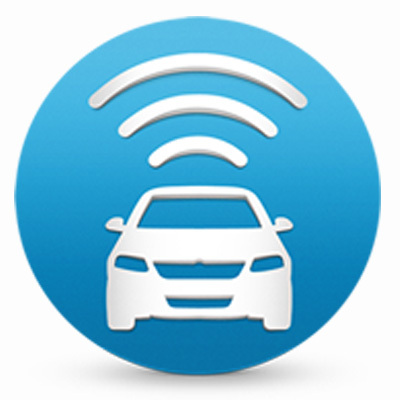 Apple CarPlay, the smarter, safer and more fun way to use your iPhone® in the car. Apple CarPlay gives iPhone users an incredibly intuitive way to make calls, use Maps, listen to music, and access messages with just a word or a touch. Android Auto extends the Android platform into the car in a way that’s purpose-built for driving and automatically brings you useful information and organizes it into simple cards that appear just when they’re needed. It’s designed to minimize distraction so you can stay focused on the road ahead. This entry was posted in Uncategorized on November 10, 2017 by Hollie Prater. 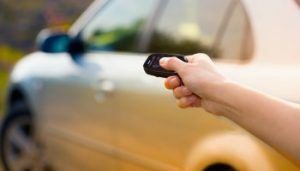 Drive for Coats – Donate & Save on a Remote Start! November 3 – December 31 2017, we will be having an in-store coat drive to provide local families with a new or gently used coat for the upcoming winter months. $20 OFF any Remote Starter! CLICK HERE to find out more about our Remote Start selection! Studies have shown that children, in particular, who have a new coat during the winter, have better attendance, fewer illnesses, and an improved sense of pride and confidence. Help us help our community by giving back and donating your new or gently used winter coats! All coat donations will be given to Joseph’s Coat to support their efforts in helping families in the community. While discounts are limited to one per remote start purchase, we encourage you to bring any coats that are sitting unused in your closet. *Discount valid on regular priced remote starts only with the donation of a new or gently used coat, and only on the day of donation. Not valid with other discounts or promotions. Limit one discount per remote starter purchase. Promotion valid until 12/31/17. This entry was posted in Uncategorized on November 3, 2017 by Hollie Prater. 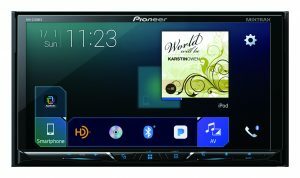 Check Out Below the Great Features of the Pioneer AVH-2330NEX Multimedia DVD Receiver! This entry was posted in Uncategorized on October 30, 2017 by Hollie Prater. 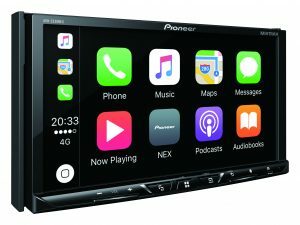 Pioneer NEX – The Leader in Smartphone Connectivity for YOUR Vehicle. Think you have to drive a brand new car to have that new car technology? Think again! 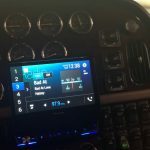 Simply upgrade your factory radio to a Pioneer NEX head unit and access your phone, apps, music, and even navigation right from the dashboard of the vehicle you already own. Don’t Break Up with Your Car; Upgrade it! Apple CarPlay – Plug in your iPhone to make calls, let Siri read you text messages, get directions, listen to your iTunes library, and use compatible apps. 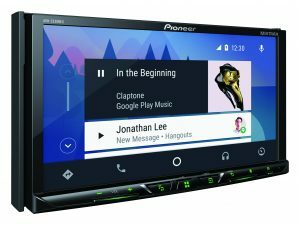 Android Auto – Stream your music with Google Play, Pandora, & Spotify, get voice guided navigation with Google Maps, and extend the Android Platform into your car in a way that’s built for distraction free driving. 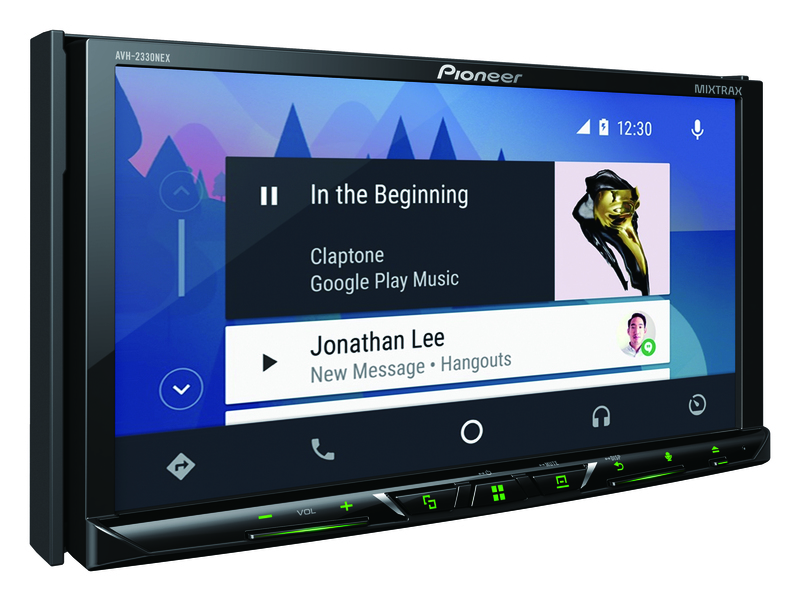 Many Pioneer NEX models feature built in Bluetooth, HD Radio, are Pandora & SiriusXM Ready, and some even include built in GPS Navigation. 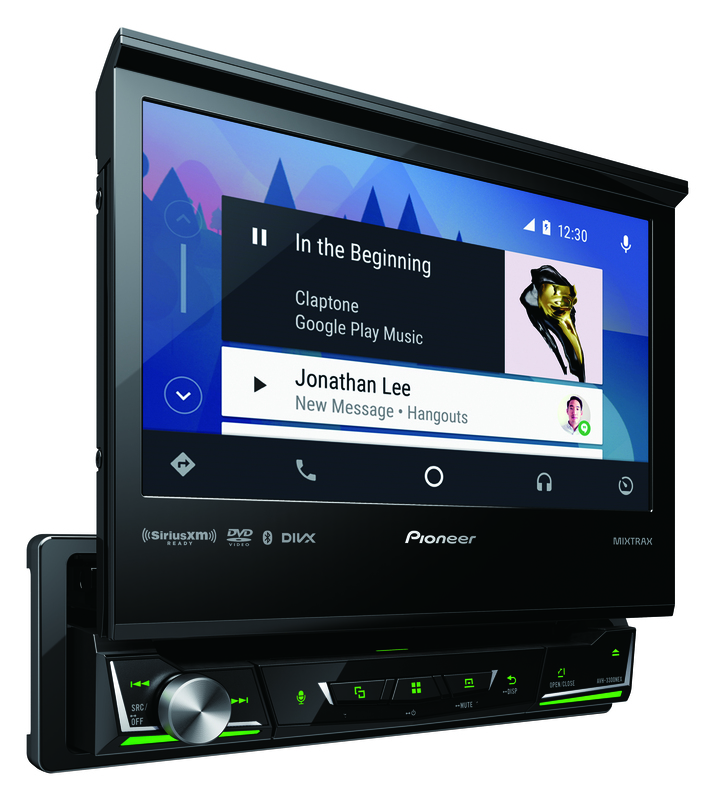 Request More Information today to find which Pioneer NEX model fits your vehicle! Our experts are happy to to help you find the right technology to fit your needs! This entry was posted in Uncategorized on October 16, 2017 by Hollie Prater. 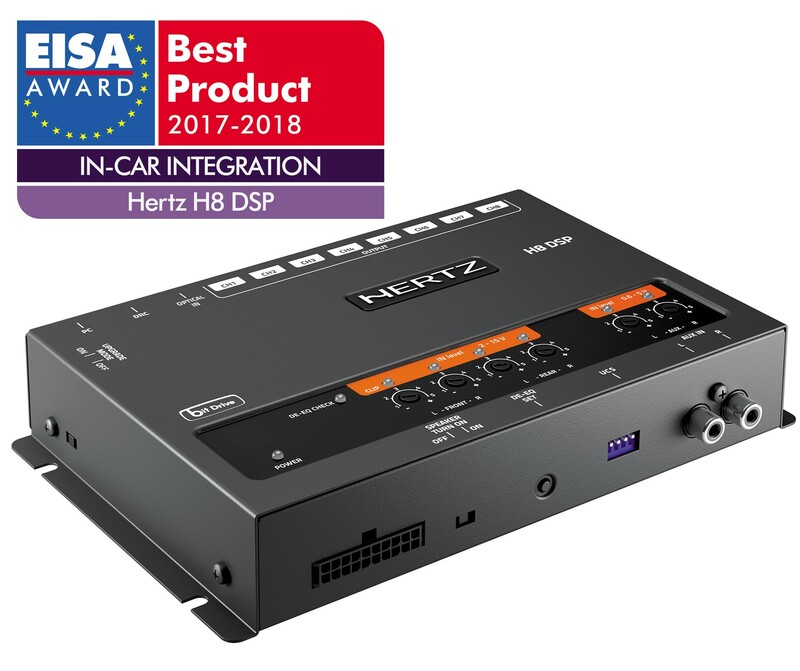 Hertz H8 DSP car audio processor is capable of interfacing with any analog and/or digital source, transforming ordinary “audio” into a high-performance integrated system. The simple and intuitive computer software ensures a wide array of adjustments to improve the acoustic response of a complex environment like the car compartment. It provides 7 signal inputs with a variety of connection options: four high-level inputs, also accepting low-level pre-amplified signals; a stereo auxiliary input and an optical digital input accepting signals at a sample rate up to 96/24 bit. The optical digital input (selectable through the DRC HE remote control and from the “Optical / AUX select” terminal) nullifies interference and signal deterioration also by-passing the analog signals A/D conversion stages. Thanks to the configuration Wizard provided by the software during the set-up, the H8 DSP can automatically sum up multiple filtered channels (for instance, woofer plus tweeter), “flatten” the OEM source equalized response curve and reconstruct a center, rear and/or subwoofer channel with a simple stereo input. By reading the test track on the CD provided, the H8 DSP recreates a full-bandwidth signal, with a flat frequency response and released after processing for an outstanding sound quality. The times has arrived, now #TheSoundExperience enters to the digital world! 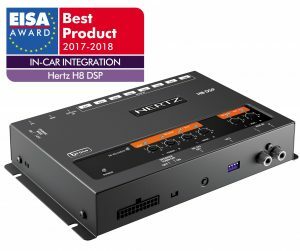 Find out all the amazing fetaures of H8 DSP on #Hertzaudio web site. This entry was posted in Uncategorized on October 4, 2017 by Hollie Prater. Introducing Webasto’s Black Forest Throwback! Contact us to find out more and get one for your Jeep! This entry was posted in Uncategorized on June 22, 2017 by Hollie Prater. 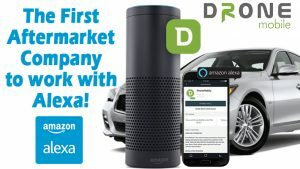 DroneMobile – The First Aftermarket Company to Work with Alexa! 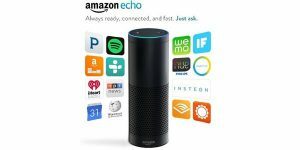 Until now the aftermarket has stood on the sidelines as the Alexa became one of the hottest consumer electronics products. Companies from SiriusXM to Ford are making their products compatible with the Alexa voice assistant and now DroneMobile becomes the first aftermarket product to also work with Alexa. The Alexa voice assistant is found in Amazon’s WiFi speakers, the Echo and Dot. Through your voice commands, they allow you to play music, make to do lists, set alarms, stream podcasts, get news and traffic and more. Some smartphones and even some infotainment systems now also work with Alexa. Google, Apple, Sony and others are offering or about to release similar voice assisted speakers. Starting now, users of DroneMobile, the remote start-from-a-smartphone device, can ask Alexa to lock or unlock your car doors, unlock the trunk, check the status of the vehicle battery voltage and see the location of the car. DroneMobile parent Firstech said it already has the ability to allow you to ask Alexa to remote start the car by voice, but the company is waiting to unlock that feature due to security concerns. There is always the caution with remote start, even from a keyfob, that a child could use it. To help prevent that, after a user asks Alexa to lock or unlock the car doors, Alexa will ask for a pin number, under DroneMobile’s system. “We held off to get comfortable with the security aspect,” said Firstech’s Justin Lee. “It’s totally a safety precaution at this point. We can add remote start in an app upgrade.” The idea is to take the summer to deploy the product and view results and then revisit unlocking remote start before the fall, when remote start season begins. DroneMobile will also support Google Home devices by mid-Q3 2017. Firstech is offering a free Amazon Dot to the first 100 dealers that order a certain quantity of DR-3400 or RSD-3400 DroneMobile kits. To see the full DroneMobile Alexa capabilities click here. The DroneMobile Skill for Alexa is available for download in the Alexa app and on Amazon.com. DroneMobile systems are sold and professionally installed at over 2,000 authorized retailers across North America. Those who are interested in learning more about DroneMobile can visit www.dronemobile.com. Already got DroneMobile, call or email us today and we can help you set up your Alexa capabilities! Or if you’re interested in getting DroneMobile – we can help with that too! 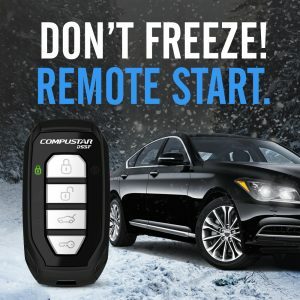 Control the Seasons with a Remote Start for Your Car! Summer is here and with it comes the heat, sunshine, and warm days. While that sounds nice, you might not enjoy it so much when getting into your car means getting into a sweltering hot box! We’ve all been there, it’s summer and you’ve spent your entire day at work with your car parked out in the open just baking in the sun. Fast forward to the end of your work day, you walk to your car only to be hit in the face with a wave of hot air and trapped heat as soon as you open your door. We think that’s reason enough to use a remote starter in the summer! Cool down your car – Have you ever turned on your car, blasted your air conditioning only to get a huge gust of hot air blown in your face? We all know it takes time for a A/C system to cool down and start blowing that glorious chilly air on us. With a remote starter, you can start your engine 5 to 10 minutes before you get in to give you’re A/C the chance to cool down it needs before you get in! Decreases air pressure – One reason why the temperature inside of a car on a hot day feels so much hotter is because of the increased air pressure inside the vehicle. In just 10 minutes, the temperature of a parked vehicle can rise 20 degrees (whoa!) and will feel significantly hotter than the air outside of the car. Remote starting your engine will allow the air to start circulating before you open that door. 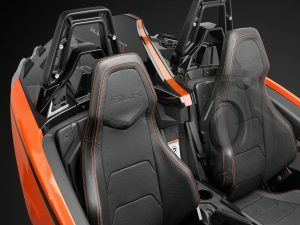 Black Leather Seats – Enough said? In direct sunlight, leather seats will quickly turn from a luxury into a burn risk. Remote start your vehicle, the air inside the vehicle cools down, essentially cooling down the leather seats you’ll have to sit on too. *Please note, a remote start does not make it safe to leave children, pets, or anything for that matter inside of a parked vehicle on a hot day. We think it’s important you’re comfortable in your vehicle year-round and a remote starter only helps with that! Ask us today which remote starter is right for your car and we can help you on your way to controlling the weather (inside your vehicle at least)! This entry was posted in Uncategorized on June 6, 2017 by Hollie Prater. 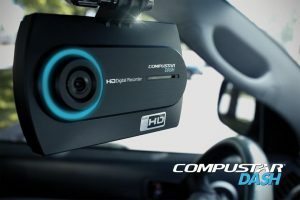 Momento HD Dash Cam System – You never know what can happen on the road. Keep and extra eye on your ride. 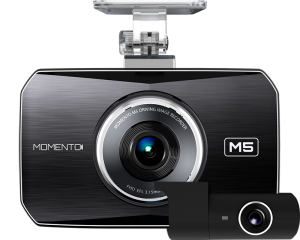 Momento dash cam systems all include front and rear cameras to provide up to 270º of surveillance coverage. While you’re driving. When you’re on the road, Momento uses looping technology to constantly record activity and overwrite older footage. If you cam detects impact, it will store footage from the incident in a separate folder so it won’t be deleted. While you’re parked. Momento has your back even when your vehicle is parked. 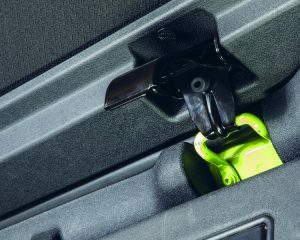 They have built-in motion and impact sensors to start recording before and after something happens around your vehicle. Full HD Resolution: (1920×1080) high-definition front camera. 3.5″ Touch Screen provides interactive interface and high clarity. Sony Exmor R Sensor: Provides clean and clear video quality in low-light scenarios. Format-Free Technology: Automatically overwrites files when storage capacity is exceeded. 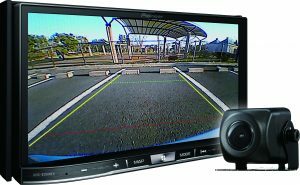 PIP Multi-Screen: Multi-screen feature allows you to view front/rear cameras simultaneously. Continuous, incident-continuous, incident-parking, parking, and manual recording modes. Battery Save Mode: Measures the voltage of your battery real-time and halts Momento to prevent excess battery-drain. 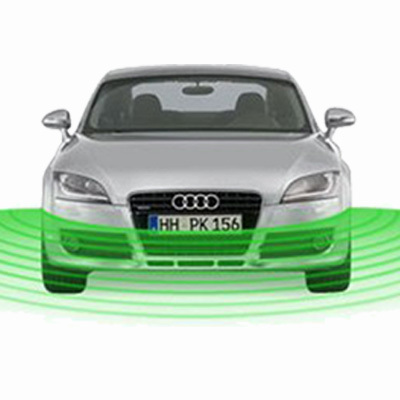 Location + Speed Limit Sensor: Provides information about vehicle’s location and speed. (GPS antenna required). Front-Vehicle Move Alert: Alerts the driver when the front vehicle starts to move from a complete stop. This entry was posted in Uncategorized on May 5, 2017 by Hollie Prater. 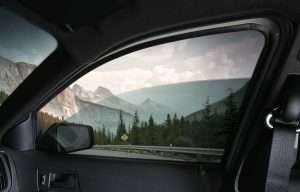 We Now Carry 3M Crystalline Window Tint Film! The Crystalline Series features a proprietary, multi-layer optical film nano-technology that combines over 200 layers in a film that is thinner than a Post-it Note. This unique technology is the reason a a clear film can reject more heat than darker films. Stay Cool: The Crystalline Series allows the lightest tint to reject more heat than many of the darkest films available. Rejection of up to 60% of the total solar energy and up to 97% of the heat-producing infrared rays gives you the ultimate in comfort. Superior UV Protection: Blocking up to 99% of ultraviolet (UV) light, this film provides a total Sun Protection Factor (SPF) of 1000. 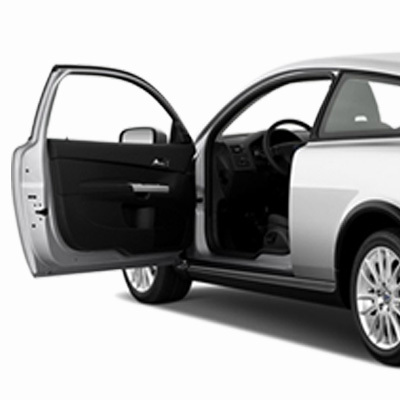 This helps provide vehicle occupants with significant protection from harmful UV rays. Reduce Glare: The Crystalline Series reduces up to 55% of the glare from blinding sun, oncoming driver headlights in the rain, at night, etc., allowing you to see better and concentrate more on driving. See Clearly and Safely: This film is designed to enhance your view by allowing visible light into your vehicle while keeping heat out, so you can see clearly through your windows, and maintain your vehicle’s original appearance. 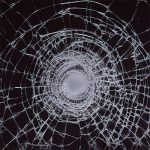 Stay Connected: Non-metallized window film that won’t interfere with mobile devices, GPS signal, or satellite radio reception. This entry was posted in Uncategorized on March 22, 2017 by Hollie Prater. Spring is right around the corner, or so we’ve been told! Are you planning any Spring Break travel or summer vacations? 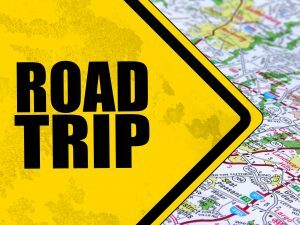 Let us help you get road trip ready! We have everything you need to truly make your trip not just about the destination but about the fun in getting there too. 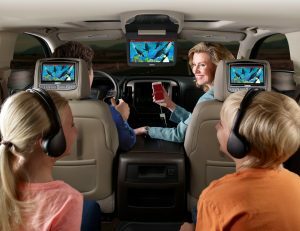 Mobile Video Entertainment: By adding a Drop Down Video Monitor or Headrest Monitors to your vehicle, you’ll be providing hours of entertainment to any backseat passengers. Kids and adults alike can watch movies, play video games, and some systems even let you stream from HDMI. Apple CarPlay or Android Auto: We’re practically glued to our smartphones these days, but being so while driving could be dangerous. Never miss out on calls, notifications, and easily integrate your phone in your dash by adding a compatible receiver to your vehicle. With Apple CarPlay or Android Auto use voice commands to play music, take calls, listen to and respond to texts, and request GPS navigation turn by turn directions. Power Lift Gate: Have a lot of luggage, or a lot to strategically pack for your next roadtrip? Enjoy the convenience of hands-free, easy access to your luggage and other essentials with a Power Lift Gate. 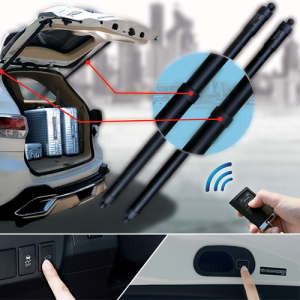 Open and close the hatch to your vehicle with the push of a button or by using your remote! 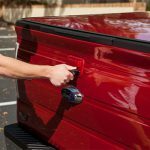 No more slamming or pulling heavy hatch rear doors by yourself. WeatherTech Floor Mats: If you’re taking a roadtrip, you’ll probably be making quite a few stops, getting in and out of the car a lot, and dragging in plenty of dirt and debris. Protect your vehicle’s interior from those sandy beaches, muddy hikes, and slushy snowy ski trips with made specifically to fit your vehicle WeatherTech floor mats. 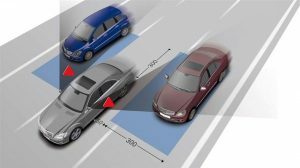 Blind Spot Monitoring: Safety while driving should always be your number one priority, but accidents do happen. Installing a blind spot monitoring system can hopefully prevent a lot of those accidents. You’ll get an audible, and sometimes visual, warning when another vehicle enters your blind spot, so you can stay safe all the hours you’ll be driving. Let us help you equip your vehicle so you can get the most out of your roadtrips! We’ll be happy to answer any questions you might have and we’ll get you on your way with the best products possible for you. This entry was posted in Uncategorized on March 7, 2017 by Hollie Prater. Thinking about getting your windows tinted? Window tint helps block the Sun’s harmful UV rays, reduces glare, helps the driver with visibility and aids in the protection of the car’s interior. 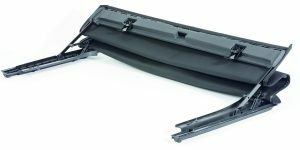 Plus, it can strengthen the windows in case of a break or shatter, can reduce the risk of theft, and adds a sense of style to any car. The window tinting process starts with us cleaning your windows inside and out. 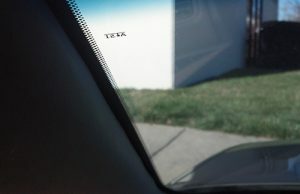 Then, the film is cut to the exact size of the car’s window. Our trained installers will place the film on the window and then work to remove any bubbles, wrinkles, or other imperfections, all while making sure it’s a perfect fit. After this, the film needs time to set and cure. For best results, we recommend avoiding rolling your windows up and down for a few days after install just to be safe. With the mention of window tint protecting against the Sun, you might be thinking window tint is only useful in the summer, but you’d be wrong in this case. While UV exposure is the greatest in the summer, it isn’t nonexistent in the winter. UV rays reach Earth every day of the year, and Snow can reflect 85 – 90% of those rays too. So, it’s important to keep yourself and your car protected from those rays all year round. The spring brings rain, summer has high humidity, and the winter has ice and freezing temps, but if your install is done inside, away from the elements, it will turn out just fine! We bring your vehicle into our climate controlled garage, let it warm up to room temperature, and then install the film. This guarantees that no matter what time of year it is, or what the weather is like, you’ll be getting a professional window tint installation. Contact us today for more information and to schedule your installation! This entry was posted in Uncategorized on January 17, 2017 by Hollie Prater. See inside our Morse Road Location! Includes Retail Sales Floor and Install Garage. This entry was posted in Uncategorized on January 10, 2017 by Hollie Prater.